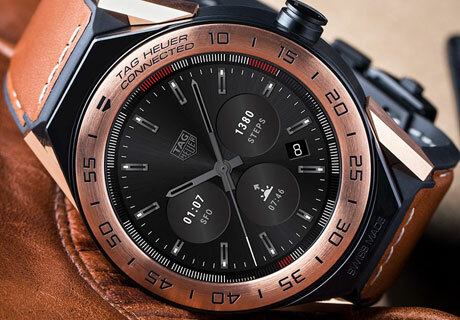 Luxury watchmaker Tag Heuer has unveiled the second generation of its connected watch range, powered by Google’s Android Wear 2.0 operating system and offering host card emulation (HCE) payments through Android Pay. The Connected Modular 45 collection has been designed in collaboration with both Google and Intel and features NFC for payments, Bluetooth connectivity and a small water-resistant microphone that enables the wearer to communicate with Google Assistant. It also offers the “original concept of modularity”, allowing owners to replace and customise the external features of the watch, including the central module. The addition of support for HCE payments for Google’s wearables operating system was announced with the release of the latest and final developer preview of Android Wear 2.0 in January 2017. The company officially launched Android Wear 2.0 with two new watches from LG in February. Watchmaker Movado is also set to launch a smartwatch collection with Android Pay support later this year. “Google’s Android Wear 2.0 and the new Tag Heuer Companion app improve the software experience and keep you connected with the people and information that you care about most,” the watchmaker says. “We’re excited to work with Tag Heuer again to create a new powerful connected watch that demonstrates the ongoing innovation of Tag Heuer’s craftsmanship and the Android Wear platform,” adds David Singleton from Google. The watches are available from Tag Heuer boutiques, a selection of retailers and from the brand’s website, and are on sale from US$1,650.